Apple's iPhone X costs an estimated US$357.50 to manufacturer, resulting in a gross profit margin of 64 percent. This does not include research and development or marketing costs, of course. Recent teardowns estimate that the iPhone X costs even less than previously thought to manufacturer at around US$357.50. While the iPhone 8 has a gross profit margin of 59 percent, the iPhone X's is 64 percent. Apple CEO Tim Cook has responded by stating that Apple's products are being priced at the "value" they are delivering. 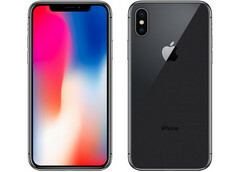 A September estimate by Chinese component website ichunt.com put the overall component cost of Apple's iPhone X at US$412 for the most expensive US$1150 SKU. Now, a recent teardown by TechInsight and analysis by Reuters suggest that the iPhone X costs only US$357.50 to manufacturer, meaning an even higher profit margin for the iPhone X versus the iPhone 8. "We price to the sort of value that we're providing. We're not trying to charge the highest price we could get or anything like that. We're just trying to price it for what we're delivering." There are a number of reasons for the increase in phone prices as of late. Firstly, flagship devices are more favored by OEMs as they indeed command higher prices and profit margins. Additionally, the research and development for flagship devices is becoming more and more expensive as consumers clamor for more and more with each generation. Finally, at the same time, the marketing budget for these products has ballooned as promotion and visibility to differentiate the device from a sea of competitors becomes more important.